If you are brand new to investing, this article is for you. We’ve put together a short primer of some basic definitions and analogies to help you fully grasp the concepts that we discuss in more depth elsewhere. 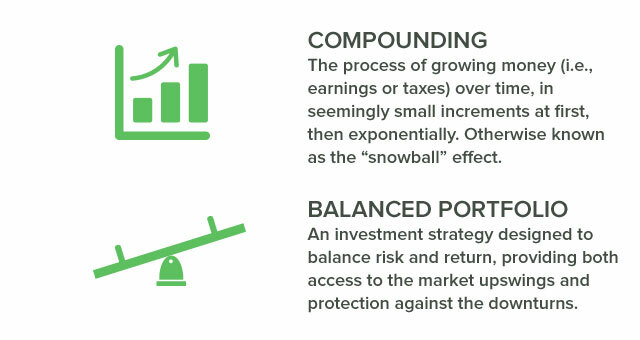 A well-balanced portfolio is the product of good asset allocation. If your asset allocation gets out of balance and those vital stats no longer fall within the ranges you allocated, it’s time to rebalance. 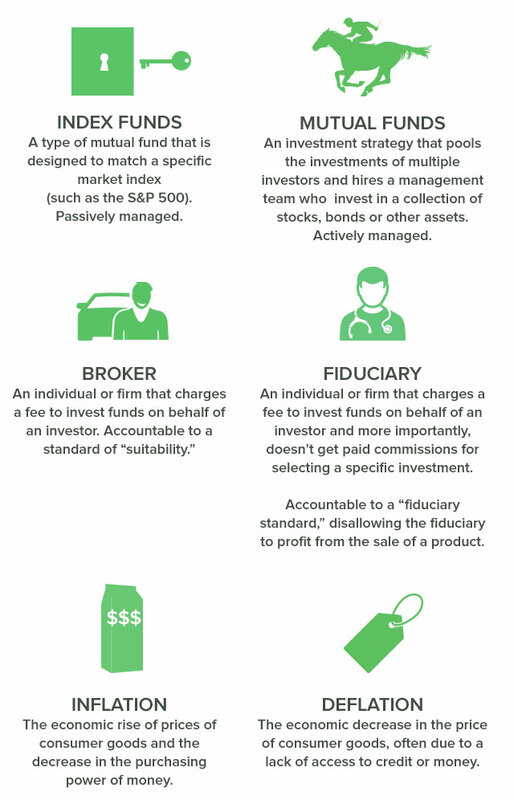 Now that you understand some of the basic terms associated with your portfolio, it’s time to fully grasp the most basic categories of investments that may go into your portfolio. So a stock is like buying a piece of the puzzle, you are now a partial owner in the whole of the the company. Bonds differ in that are you essentially buying, or covering, a piece of debt until the entity can pay you back with interest. 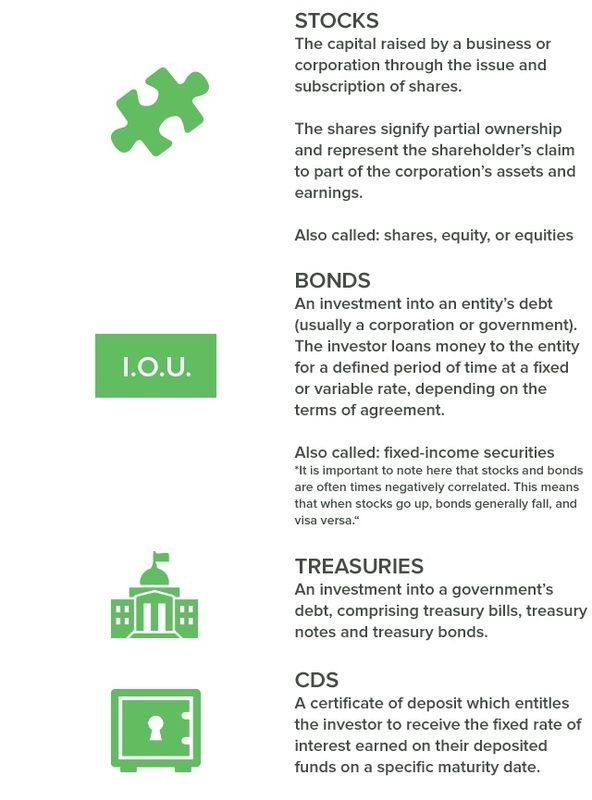 A treasury is similar to a bond (and there are in fact treasury bonds), but a treasury is specific to a government debt. And a CD is like a savings account that you lock away for a certain amount of time in order to gain a higher interest on it. With four very basic example of investment under you belt, you’re ready to move on to some key differences in the financial world. Index funds and mutual funds are the investment vehicles that drive the debate between what is known as passive investing and active investing. Buying index funds amount to essentially “buying the market”; meaning you get a little bit of everything, and then you wait. The creator of the index fund, John Bogle urges index investors, “Don’t do something. Just sit there.” Buying a mutual fund amounts to betting on a jockey – you think that manager is going to buy the right stuff to make your fund money. Unfortunately, only 4% of mutual funds beat the market over time. And, If you have ever watched the news you have probably heard these next two terms thrown around. The state of the economy hinges on these two possibilities and either way they affect you directly. Inflation may make it harder to buy the essentials, but deflation could increase unemployment.